This year Ghurki Hospital will achieve another milestone after the completion of this project. We are doing our best by providing State of the Art facilities to poor-stricken community and we aim to provide free treatment to every deserving human who cannot afford such expensive treatment in other hospitals. The CyberKnife System is a non-invasive treatment for cancerous and non-cancerous tumors and other conditions where radiation therapy is indicated. It is used to treat conditions throughout the body, including tumors of the Prostate, Lung, Brain, Spine, Head and Neck, Liver, Pancreas, Kidney, and certain gynecologic indications, and can be an alternative to surgery or for some patients who have inoperable or surgically complex tumors. The CyberKnife System is the only fully robotic radiation delivery system. 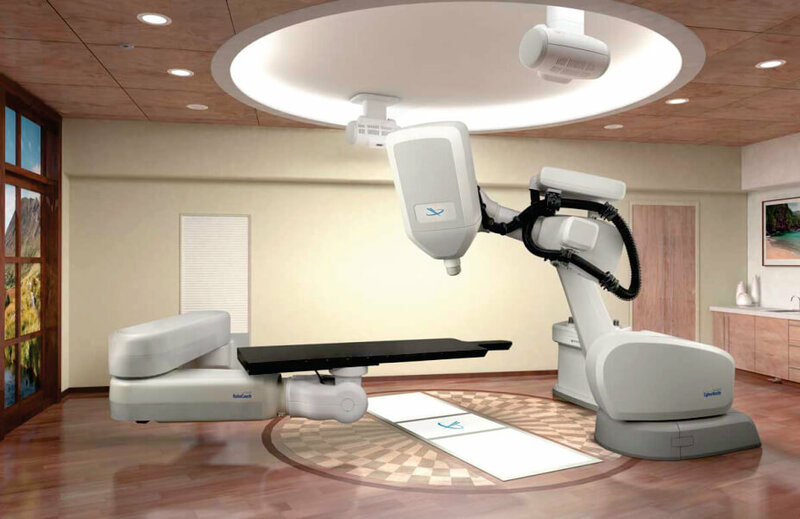 The robotic design, coupled with real-time imaging, enable the CyberKnife System to deliver a maximum dose of radiation directly to the tumor from many different angles with sub-millimeter precision. The CyberKnife System does this by tracking and automatically adjusting for tumor or patient movement during treatment to minimize radiation exposure to healthy organs and tissues. According to the Dawn Newspaper report only 250 Cyberknife are installed around the world. A Cyber knife operation can cost in Europe/USA varies from USD 50,000 to 90, 000, which is quite expensive for most of the patients.